Subscribe to get deals from hundreds of merchants including the best of Peach Garden! Offer is valid from 1 January to 31 December 2019, except on eve of and on public holidays as well as special occasions (e.g. eve of Mother's Day and Father's Day, Mother's Day, Father's Day, 15 days before and 15 days throughout Lunar New Year, etc).. Payment must be made with an OCBC Credit or Debit Card.. Discounts are valid with the respective minimum spend, excluding service charge and GST.. Valid for dine-in only.. Not valid in conjunction with other discounts, set menus, membership privileges, promotions or vouchers, unless otherwise stated.. Merchant's terms and conditions apply. Please contact the merchant directly for full details.. OCBC reserves the right to amend the conditions of this promotion without prior notice.. OCBC shall not be responsible for the quality, merchantability or fitness for any aspect of the offers. Notwithstanding anything herein, OCBC shall not at any time be responsible or held liable for any defect or malfunction in any offer, and/or for any loss, injury, damage or harm suffered or incurred by or in connection with the use of any offer by any person.. OCBC's decision on all matters relating to privileges or terms and conditions will be final and binding on all participants.. Please always check with the merchant on the validity of the promotion before purchase. Offer is valid from 1 January to 31 December 2019, except on eve of and on public holidays as well as special occasions (e.g. eve of Mother's Day and Father's Day, Mother's Day, Father's Day, 15 days before and 15 days throughout Lunar New Year, etc). Discounts are valid with the respective minimum spend, excluding service charge and GST. Not valid in conjunction with other discounts, set menus, membership privileges, promotions or vouchers, unless otherwise stated. OCBC shall not be responsible for the quality, merchantability or fitness for any aspect of the offers. Notwithstanding anything herein, OCBC shall not at any time be responsible or held liable for any defect or malfunction in any offer, and/or for any loss, injury, damage or harm suffered or incurred by or in connection with the use of any offer by any person. Offer is valid from 1 January to 31 December 2019, except on eve of and on public holidays as well as special occasions (e.g. eve of Mother's Day and Father's Day, Mother's Day, Father's Day, 15 days before and 15 days throughout Lunar New Year, etc).. Payment must be made with an OCBC Credit or Debit Card.. Discounts are valid with the respective minimum spend, excluding service charge and GST.. Valid for dine-in only.. Not valid in conjunction with other discounts, set menus, membership privileges, promotions or vouchers, unless otherwise stated.. Merchant's terms and conditions apply. Please contact the merchant directly for full details.. OCBC reserves the right to amend the conditions of this promotion without prior notice.. OCBC shall not be responsible for the quality, merchantability or fitness for any aspect of the offers. Notwithstanding anything herein, OCBC shall not at any time be responsible or held liable for any defect or malfunction in any offer, and/or for any loss, injury, damage or harm suffered or incurred by or in connection with the use of any offer by any person.. OCBC's decision on all matters relating to privileges or terms and conditions will be final and binding on all participants.. . . Please always check with the merchant on the validity of the promotion before purchase. All offers are not applicable on eve of and on Public Holidays and special occasions not limited to Mother’s Day, Father’s Day, and 15 days before and during 15 days of Chinese New Year unless otherwise stated.. epicure's dining in the city (2019) Promotion terms and conditions apply.. Promotion period : till 31 December 2019.. Please always check with the merchant on the validity of the promotion before purchase. All offers are not applicable on eve of and on Public Holidays and special occasions not limited to Mother’s Day, Father’s Day, and 15 days before and during 15 days of Chinese New Year unless otherwise stated. epicure's dining in the city (2019) Promotion terms and conditions apply. Promotion period : till 31 December 2019. Promotion Period: 02/01/2019 to 30/12/2019. Promotion is not applicable on eve and on public holidays, eve and on Mother’s Day and Father’s Day, 15 days before and during 15 days of Chinese New Year.. DBS General Promotion Terms & Conditions apply, visit www.dbs.com.sg/dbscardstnc.. . Please always check with the merchant on the validity of the promotion before purchase. Promotion is not applicable on eve and on public holidays, eve and on Mother’s Day and Father’s Day, 15 days before and during 15 days of Chinese New Year. The Promotion period is from 1 February 2019 to 30 December 2019 (both dates inclusive).. Under the Promotion, a Citi Cardmember will enjoy 15% off the food bill at Peach Garden with a minimum spend of SGD50 charged to a Citibank Debit/Credit card. Minimum spend requirement is per the table, in a single receipt and excludes beverages, the service charge and taxes. No splitting of bills.. The Promotion will not apply on the eve of and on public holidays, the eve of and on special occasions such as Valentine's Day, Father's Day, and Mother's Day, unless otherwise stated.. Promotion will not apply 15 days before and during the 15 Days of Chinese New Year, unless otherwise stated.. Promotion is not valid with other on-going promotions, discounts, vouchers, rebates, privilege cards, loyal programmes, set menus, in-house offers, functions, banquets or catering functions, unless otherwise stated.. Citibank's and Peach Garden’s decision on all matters relating to the Promotion will be determined at its reasonable discretion and is final and binding on all participants.. Citibank shall not be responsible for the quality, merchantability or the fitness for any purpose or any other aspect of the products and/or services provided by third parties and Citibank shall not at any time be responsible or held liable for any loss, injury, damage or harm suffered by or in connection with the products and/or services provided by third parties. All disputes about quality or performance of the product and/or services shall be resolved directly with Peach Garden.. Citibank and Peach Garden reserve the right, at their reasonable discretion, to vary, add to or delete the Promotion terms and/or terminate the Promotion at any time.. "Citibank" refers to Citibank Singapore Limited and "Peach Garden" refers to Peach Garden Restaurants.. Please always check with the merchant on the validity of the promotion before purchase. The Promotion period is from 1 February 2019 to 30 December 2019 (both dates inclusive). Under the Promotion, a Citi Cardmember will enjoy 15% off the food bill at Peach Garden with a minimum spend of SGD50 charged to a Citibank Debit/Credit card. Minimum spend requirement is per the table, in a single receipt and excludes beverages, the service charge and taxes. No splitting of bills. The Promotion will not apply on the eve of and on public holidays, the eve of and on special occasions such as Valentine's Day, Father's Day, and Mother's Day, unless otherwise stated. Promotion will not apply 15 days before and during the 15 Days of Chinese New Year, unless otherwise stated. Promotion is not valid with other on-going promotions, discounts, vouchers, rebates, privilege cards, loyal programmes, set menus, in-house offers, functions, banquets or catering functions, unless otherwise stated. Citibank's and Peach Garden’s decision on all matters relating to the Promotion will be determined at its reasonable discretion and is final and binding on all participants. Citibank shall not be responsible for the quality, merchantability or the fitness for any purpose or any other aspect of the products and/or services provided by third parties and Citibank shall not at any time be responsible or held liable for any loss, injury, damage or harm suffered by or in connection with the products and/or services provided by third parties. All disputes about quality or performance of the product and/or services shall be resolved directly with Peach Garden. Citibank and Peach Garden reserve the right, at their reasonable discretion, to vary, add to or delete the Promotion terms and/or terminate the Promotion at any time. "Citibank" refers to Citibank Singapore Limited and "Peach Garden" refers to Peach Garden Restaurants. 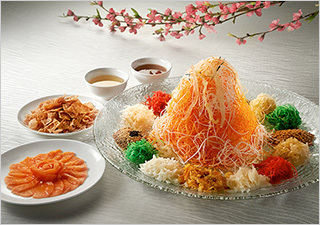 Renowned for their gastronomical treats, Peach Garden has received many accolades and awards. This flourishing chain of Cantonese restaurants has a team of dedicated masterchefs and their vision is to create a place where traditional and exquisite Cantonese food can be enjoyed along with fine living. They hope to bring their cuisine and dining experience to more food lovers. This chain is popular for their dim sum and roast meat selections, as well as top quality service. Their signature dishes include Chilled Osmanthus Jelly, Garlic Beef Tenderlon with Maggi Seasoning and Roasted Spare Ribs with Honey. They have in-house banquet and off-premise catering services for weddings, social events and corporate functions. Peach Garden is definitely a great choice for those who enjoy traditional Chinese food and are looking for top quality dishes, a wide variety of culinary choices and fine dining.